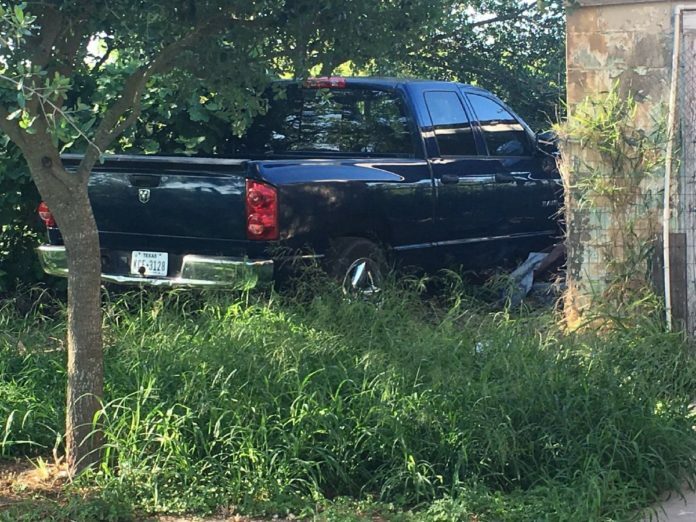 Donna Police have located the vehicle used by the suspect in a shooting last month after receiving a tip Monday morning. DONNA — Police here located the vehicle used by the suspect in a shooting last month after receiving a tip Monday morning. Investigators found Fidencio Castillo’s Dodge Ram abandoned in the 4700 block of Gandy Road. Castillo, 38, is accused of shooting Efren Quiroz on March 17 as Quiroz, 33, left a Stripes convenience store off West Expressway 83 and North Hutto Road. Police previously tried to locate Castillo’s truck and the gun he may have used while executing a search warrant March 23 at a home in the 400 block of Ellen Avenue, less than 4 miles from where the truck was ultimately recovered. Investigators will search the truck for evidence, said Donna Police Captain Rick Suarez. Castillo remains at large and police are working with the U.S. Marshals and FBI to locate him. He is believed to have fled to Mexico, and anyone with information on his whereabouts is asked to contact Donna Crime Stoppers at (956) 464-8477.